It’s been eight years since Apple received the trademark for their oft-quoted “There’s an app for that” slogan. And with each passing year, the line rings truer. With thousands of apps available, no business woe is too small or too obscure to be resolved by technology. The only question is — how do you identify the perfect app for you? That’s where Heather Satterley comes in. As the founder of Satterley Training & Consulting, an Advanced Certified ProAdvisor, and a Zapier Certified Expert, Satterley is a master of finding the right app for any business. 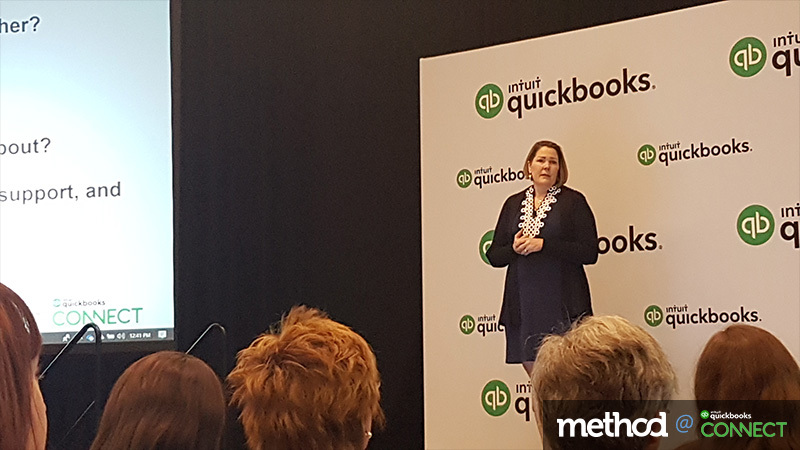 And at QuickBooks Connect, she was excited to share her tried-and-true methods with attendees. Of course, there is no “right” app for every business — it’s all about choosing the right app for your client based on their unique needs. To that end, Satterley structured her talk around the imaginary Phineas Designs: a small design firm that is growing rapidly and is struggling to develop an efficient process for predicting cash flow. Before you can begin trying to solve your client’s problem, you need to understand it. That means documenting absolutely everything about their current process. “The more information you have about a situation, the better your outcome will be,” advised Satterley. Consider each step in the client’s current workflow: Who does it? What tools do they use? How long does it take? Flowchart apps are handy for mapping out this information; Satterley recommends SmartDraw or Visio by Microsoft. Or, if you prefer an old-school approach, grab a stack of sticky notes and visualize the workflow on your wall. Examining each step in detail helps you identify where the pain points are. 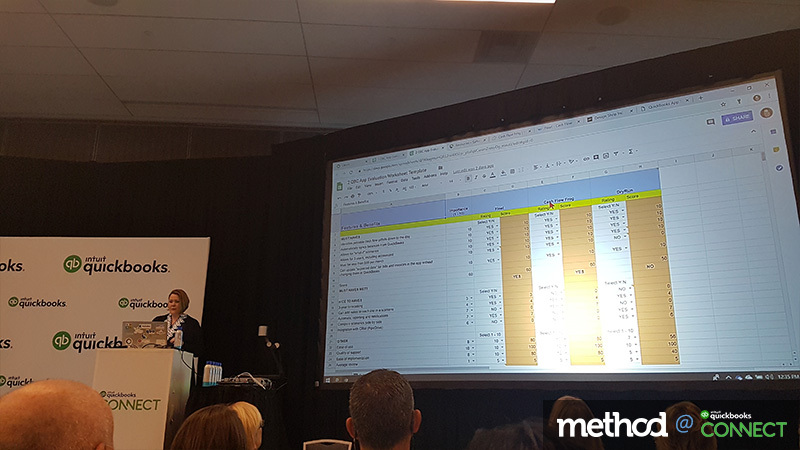 In Phineas’s case, exporting data from QuickBooks and pasting it into a cash flow spreadsheet creates a bottleneck, as the process is overly manual and highly error-prone. If possible, quantify the labor, material and software costs associated with the current process. “This is a really important step that I think a lot of us overlook,” noted Satterley. In doing so, you’ll be able to assess cost savings when you start looking at app solutions. Once you’ve identified the client’s problem, it’s time to start thinking about their ideal solution. (“This is the fun part!”) Work with your client to determine what their “must-have” features are, as well as their “nice-to-have” features. 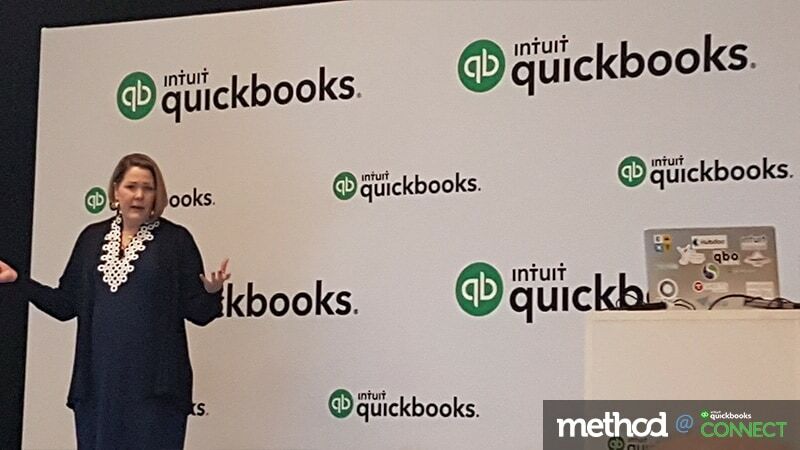 For Phineas, some must-haves in a cash flow app include automatic updates based on QuickBooks data, support for multiple “what if” scenarios, and the ability to add multiple users. However, don’t feel that you have to limit your search to the app store! Leveraging your professional network is another great way to identify vetted apps. And there’s nothing wrong with a good old-fashioned Google search. In each case, peruse each app’s website and reach out to the vendors to get as much information as possible. Now, you may be wondering how on earth you’re supposed to keep track of all of these potential apps. Luckily, Satterley has created an app evaluation worksheet that is available for download on her website. This tool allows you to list out your client’s desired features, record which apps contain which features, and score each app based on this data. At the end of the research process, select the two or three apps with the highest scores to test. These should ideally be the apps that contain all of the client’s must-haves, along with several of their nice-to-haves. Also consider which apps the client can afford, as there is little sense in testing something that’s far outside their price range. Even if none of the apps seem like a perfect fit yet, do your best to pick the strongest contenders: “Use your discretion, because you’re the expert,” said Satterley. You may also need to ask your client to reconsider the importance of each feature on their list. At this point, it’s time to test some apps! 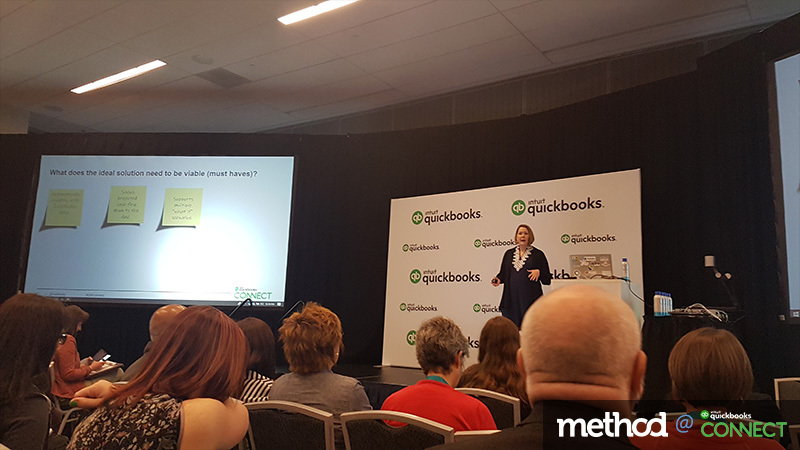 Whenever possible, set up testing environments using QuickBooks sample companies rather than using a live company. You’ll also want to communicate with the app vendors to ensure that all your questions get answered. Pay close attention to the ease of implementation and use for each app, as well as the quality of support from the vendor. After all, these factors will heavily influence whether your client actually adopts the app. Include scores for these factors in your app evaluation worksheet along with the apps’ feature scores. You’ve done the research and the tests — now it’s time to make a decision. Review your scores and reevaluate your weighting if necessary, then tally up the total score for each app. In Phineas’s case, Float and Cash Flow Frog came out far ahead of DryRun. (“But no offense to DryRun; they’re still a great app!”) At this point, you’ll want to demo the top contenders to your client before making the final call. Once you’ve picked a winner, it still may take some effort to truly sell the solution. Focus on highlighting the app’s benefits and quantifying the cost savings for your client. And be mindful of the fact that change is rarely easy: in fact, “it’s usually the person doing the existing process who doesn’t want to change,” Satterley noted. Don’t be discouraged if your client doesn’t end up committing to the app you’ve chosen. In an ideal world, every app you select would turn out to be the miracle cure for the client’s problems. In reality, learning curves are steep, clients’ needs change, and you can’t always test every aspect of an app during a free trial. Nevertheless, each evaluation cycle strengthens your consulting skills.